I had a bit of a frantic tidy up this weekend. It had something to do with lying in bed all last week and having too much time on my hands to think about all those jobs I wanted to be getting on with but just didn’t feel up to doing. I do like things to be tidy. It stems from living in tiny places at university and then a minute flat when we first got married. I hate not being able to find things, can’t abide clutter and I definitely believe in a tidy place equals a tidy mind. Recently though I’ve been so busy certain cupboards and drawers have become a bit unruly. You know the thing, you open the cupboard door and things fall out but because you’re in a hurry you just wedge everything back in again until the next time, when of course it all falls out again. Well it was all starting to annoy me so I spent Saturday whizzing around like Mary Poppins, cleaning and reorganising. It wasn’t just the house that had suffered a bit of neglect over the last month or so. The front and back gardens were looking a bit worse for wear. Granted it’s December and they are unlikely to look at their best but there was a general soggy scruffiness that just looked messy. The main spur though was the sight of the first little clump of snowdrops that we spotted in the churchyard in town on Saturday. It seems pretty early but it got me thinking about my own snowdrops and whether they were showing any signs of an appearance. On Sunday morning I had a bit of a poke around in the borders and there they were, hidden under a pile of decaying alchemilla foliage. They’re just little green shoots at the moment with no real signs of white yet but even so it was a great discovery. I don’t tend to tidy up the garden too much in autumn, preferring to leave seed heads to catch any frost we may get, and this year was no exception. It can be good to leave the top growth of some plants to provide the crown with a degree of protection from the winter weather and, of course, plant debris can provide a great place for ladybirds and other insects to overwinter and ultimately the leaves will break down and enrich the soil. However, as with most things there are downsides and just as piles of leaves may act as a warm duvet for beneficial insects so too are they for those creatures you don’t necessarily want in your garden such as slugs and earwigs. For me, it’s really down to personal preference and available time as to whether to clean up the garden or not before spring. I was pleased though to get my hands on quite a few slugs and some snails eggs all tucked away under a soggy geranium. At least that’s a few less of the mollusc foes for the garden next year. It seemed a shame though to have snowdrops pushing through and not be able to see them because they were smothered under dying plants and so Wellyman and I spent Sunday clearing up both gardens. With secateurs at hand, asters, alchemilla and geraniums were cut back. Some plants were left though. Sedums, heleniums, achilleas and grasses were left for their structural qualities. These have looked great over the last few weeks covered in frost and they will provide some height and interest in the garden well into the new year. One part of the garden had become a bit of a no go area after it had been taken over by Verbena bonariensis plants which had self-seeded everywhere. I’d left them to flower over the summer and into autumn but it all just looked too much of a mess now. They all came out to reveal the winter flowering honeysuckle coming into flower. In my front garden the tidy up allowed the Viburnum bodnantense ‘Dawn’ in all its full candyfloss-pink glory to take centre stage. It felt great to get out into the garden, into the surprisingly warm sunshine and get some fresh air and exercise after a week stuck in bed. It felt even better once we’d finished to see the garden all spruced up and ready for those spring bulbs to push through. They said we’d have a frost on Tuesday. It was saying 4 degrees C when we got back from swimming at 9.30pm and it was a beautifully clear night. We were convinced that on Wednesday morning there would be the final act of winter decline in the garden. But no, there was no sign of a frost and there are still Verbenas flowering and Heleniums and Geraniums. It’s December next week. A part of me wants the frost to come to allow the garden its seasonal sleep. It’s just unnatural to have these plants flowering now. What will happen to them in the Spring? Will they have the energy to put on a show then or will they be too exhausted by this strange autumn we’ve had? A Spring without Primroses, well that would be unthinkable. The other part of me however, the part that doesn’t really like Winter, wants this mild spell to last as long as possible. Cheaper heating bills, washing drying on the line and tasty lettuce growing on the allotment. I love a snow covered scene, the chance to make a snowman and the beauty of a frost covered countryside. But the snow never stays looking crisp and even for very long, we rarely have enough snow (the past 2 winters being the exception) or the right snow to make a snowman and living in Wales there seems to be less frost covered countryside and more soggy foliage and muddy paths. But the weather is one thing we can’t control, even though as gardeners we want to. So there is nothing else to do but wait and see what Mother Nature gives us. Who knows maybe I’ll still be picking stocks from the allotment at Christmas. I sowed some Stock ‘Brompton Mixed’ back in July. 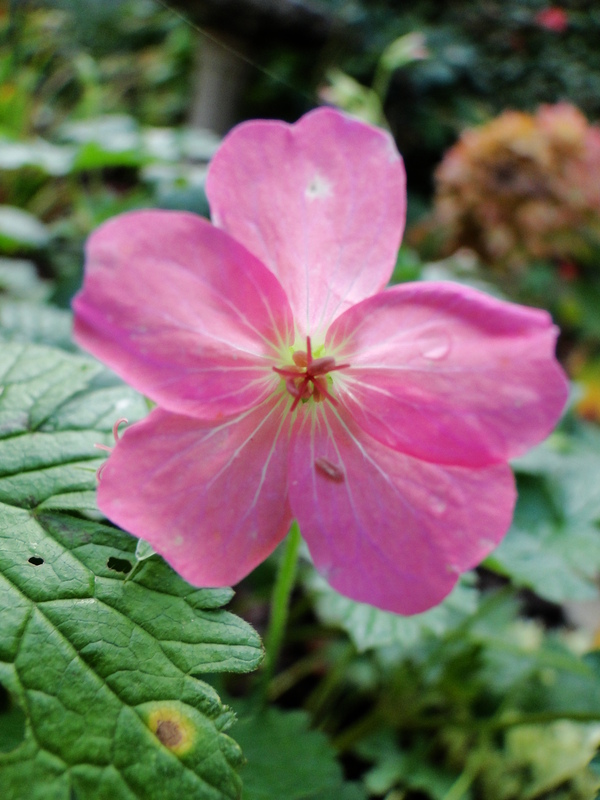 It’s a biennial so it should flower next April – June but would you believe it, its flowering now. The plants have grown well to form good sized plants and I was stood admiring them yesterday when I noticed flower buds and then not just buds but actually some flowers. It’s left me wondering what will happen next spring? Will they produce flowers or has this strange hot weather confused them and I won’t get anything next year? 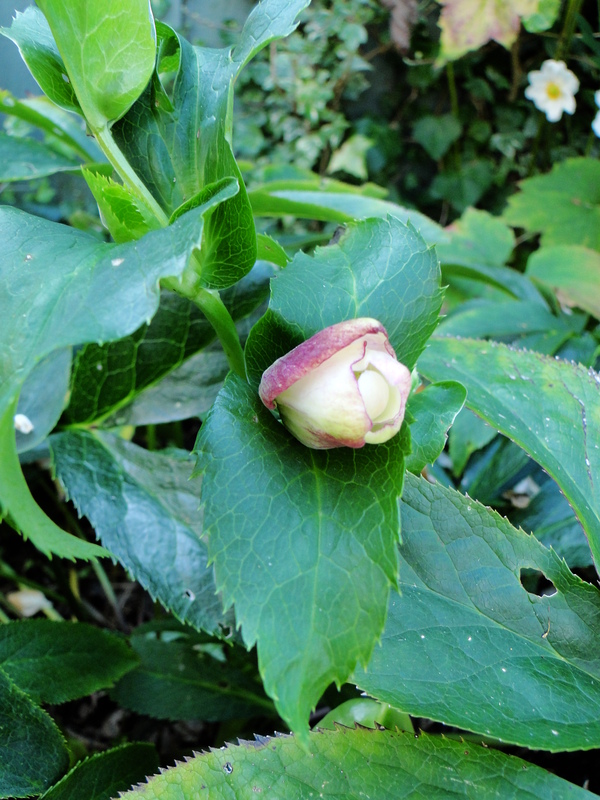 I’m used to seeing my Primroses producing a small show of flowers at this time of year but I’ve also discovered one of my Hellebores in bud, it shouldn’t be flowering until February, what is going on? I’m going to end up with the bizarre mix of Primroses and Hellebores in flower on my shady side of the garden, with Rudbeckias, Heleniums and Sedums in full bloom on the sunny side. Has anyone else got plants that shouldn’t be flowering in bloom now?